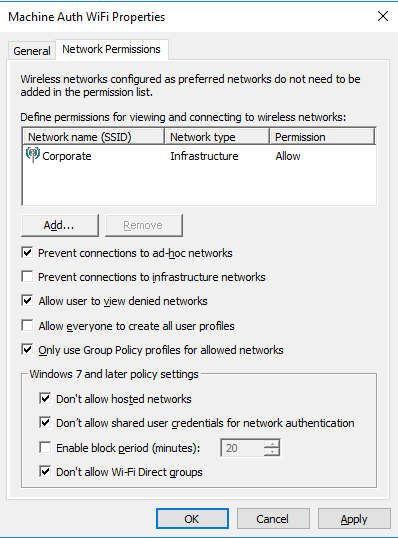 Today I had to setup wireless access for a group of PCs that were to be used in a training room where wired access was limited. 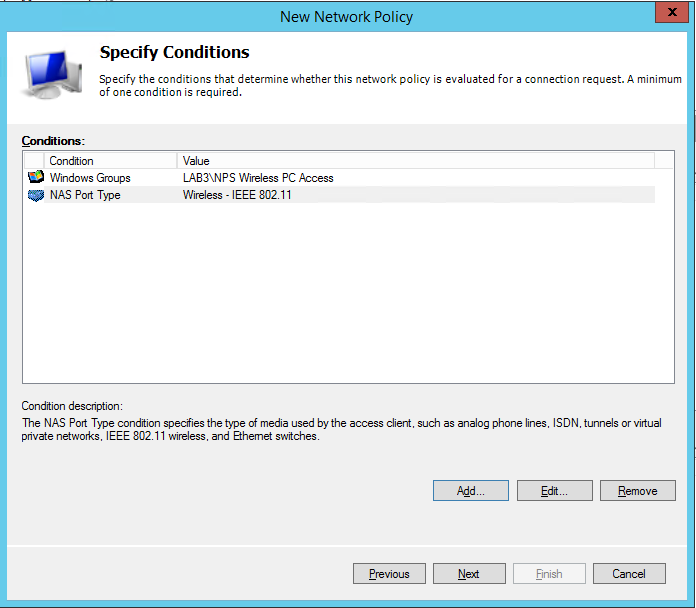 The problem was that the site only had 802.1x wireless access available based upon AD user account which wouldn’t do the job here as though the people using the training PC’s would have AD accounts they wouldn’t be able to log in to the PC’s as the wireless wouldn’t kick in until after they had authenticated. 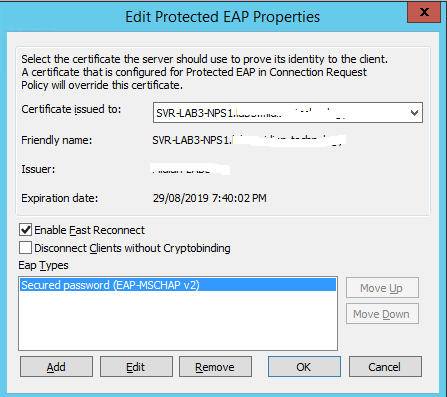 To solve this problem I implemented an alternate login method for the existing wireless network that used the AD computer account to authenticate using Protected EAP-MSCHAPv2. 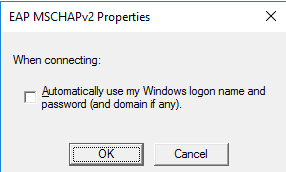 This way the PCs connected to the wireless network before anyone logged in. It took a while to get the settings right so I figured it was worth posting. 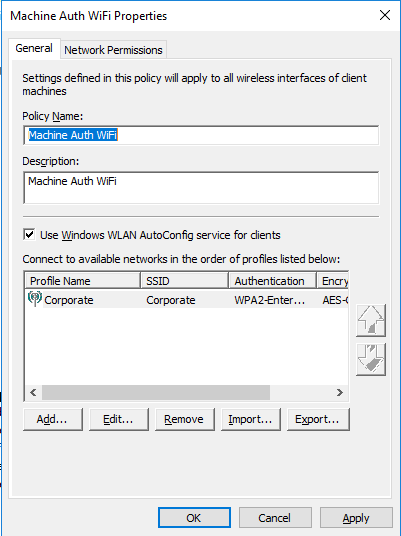 There are plenty of posts about setting up 802.1x wireless access in an AD environment so I am not going to go into any details about that here. An AD Group containing the Computer Accounts of the PC’s in question. 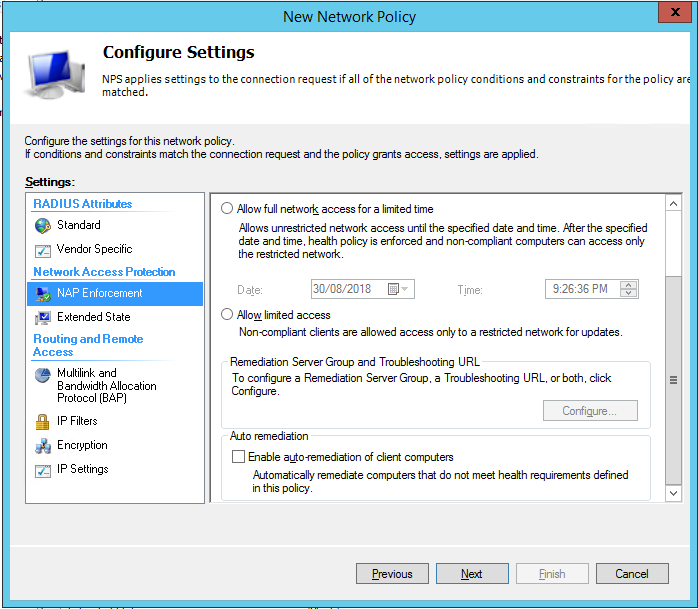 A Group Policy to apply the relevant settings to the PC’s. 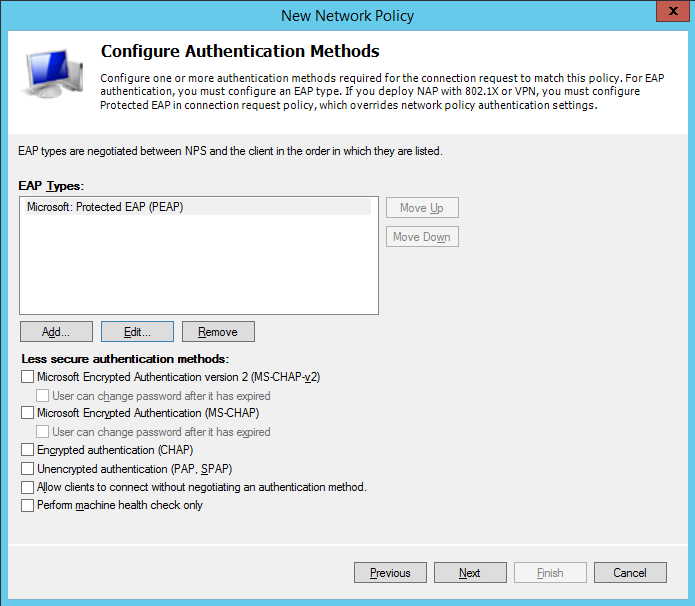 A Network Policy on the NPS server used to authenticate wireless access. NOTE: After the components were in place, the PCs did need to be connected once via a wired connection to obtain the relevant settings, they would then operate wirelessly. The AD Group is pretty self explanatory, just populate it with the relevant Computer Accounts. 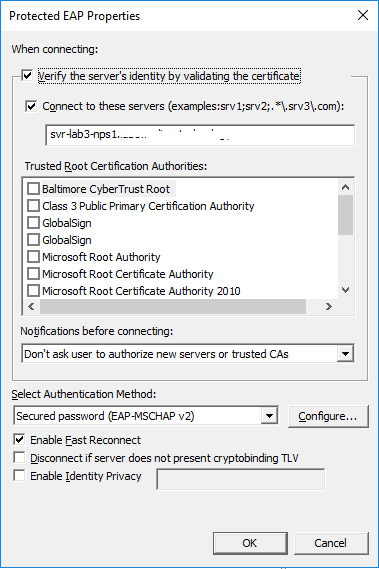 Tick the boxes for “Verify the servers identity by validating the certificate” and “Connect to these servers” and then add in the FQDN of each of your NPS servers separated by semi colons. My goal here was to tighten up security as much as possible and prevent fiddling, these settings may not be suitable for your environment. 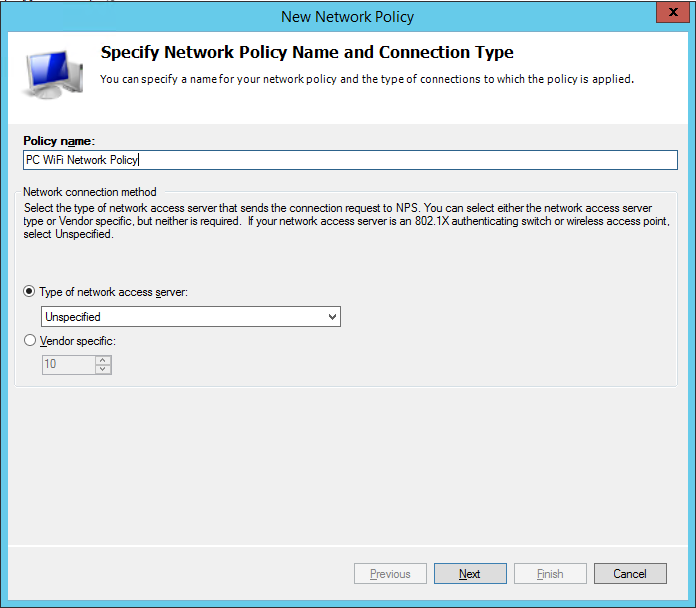 Now we are ready for the NPS network policy. 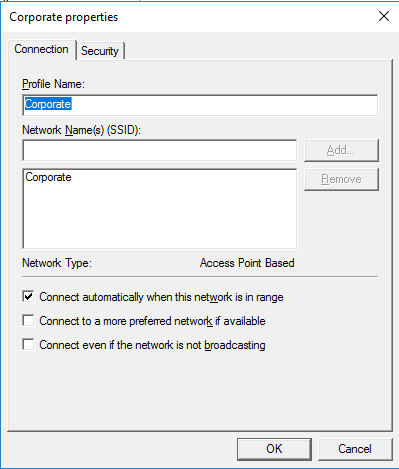 Enter a suitable name and leave the Type of network access server as Unspecified. 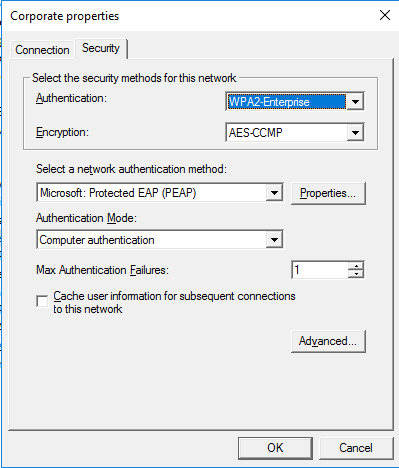 1 Comment on "Wireless 802.1x for Machine Auth only using NPS"
You sir had done an awesome job to clearly share a true technical knowledge, not the typical deliberately wrong information one would find all over on the Cisco forums. Good work!